Have you ever wondered if you have to use those expensive chemicals and cleaning supplies found at your local supermarket? While some are irreplaceable, there are some products found at your supermarket that you can find cheaper when they are packaged for something entirely different. 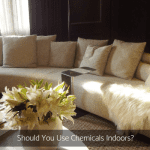 In fact, there are many different household products available that you use every day that you can use instead of chemicals for cleaning your home. 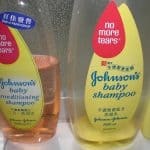 These products are readily available at most stores across the country and can be obtained for a fraction of the cost that you normally find with chemical names. Before you begin, be sure you invest some time to properly test the products in a small area in your home. While you are free to use these household products to clean your home with confidence, never skimp on the testing of a spot first so you are sure you get an accurate assessment of what exactly is involved with the materials you are applying to and the fumes and fragrances that are exuded into the air, your breathing and living zone. While there are many different kinds of common household products that will work perfect for your home, always remember to check the labels to see what is actually in what you are buying before you put it in your home. If you don’t, you could end up damaging your materials you are using it on or even the plumbing when you wash it away or you could end up with very poor air quality because of something you put into the air. Worse still, you could end up affecting your health! While the following products will most definitely work in a home environment, they can also be used in a work place environment. 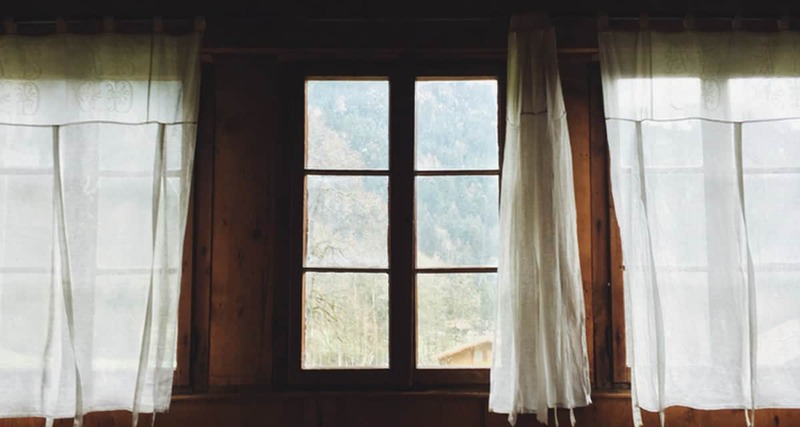 In some cases, these products may not perform as well as the ones designed specifically for a cleaning purpose, but if you are on a budget, they do make great alternatives and can help you save a little money on your indoor air care maintenance. Cleaning indoor air includes: opening windows, dusting, vacuuming, washing. 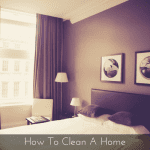 If you do these tasks every week, you will clean indoor air pretty close to perfect. I know it may be hard to believe, but everything you will find on this list you can easily use in your home at a fraction of the cost of what you will buy at a supermarket. Baking soda is the same thing as sodium bicarbonate that you can find in the cooking isle – baking soda reacts with the acidic component in cakes and breads to expand and raise them. You can add 10 grams, that is half a hand full, of baking soda to water to create a paste – very effective when used in cleaning and scrubbing. One other thing you should take note of, whilst you can use baking soda in your cleaning the home, you can use it in cleaning your teeth, mouth and as a body deodorant. How versatile is that! Fermented White Vinegar, known as 5% to 8% acetic acid in water, can be used to kill mould just like that mould killer you pick up in your supermarket. In fact, if you have mould issues, it can actually help you prevent the mould growth on the surfaces. Just make sure you use the good stuff, Cornwell’s Fermented White Vinegar. You can improve indoor quality in any space by simply cleaning with fermented white vinegar. All the ingredients you need to make your own SAFE and EFFECTIVE cleaning products, the good old basics grandma used to clean with. Citric acid can be used as a mild acid to soften water and lower the pH, ultimately making it harder for bacteria and mould to survive and reproduce. This acid is sold in most supermarkets as a food preservative and can be found in the cooking isle. Borax, which is found in almost every laundry aisle in supermarkets across the country, can be used to raise the pH levels in your laundry and cleaning products, increasing their effectiveness. Can be used to stop life giving processes and disinfect and kill unwanted pests. How much you need to use will depend on how big your cleaning routine is and how much you need to reduce the toxins in your home. Are you looking for a better way to pick up the dust and dirt that have accumulated on hard surfaces? Instead of trying to vacuum the entire home or office, take a microfiber cloth and wipe the dust into one area first and then wash it or vacuum it away. This makes it much easier to clean the hard surfaces and floor than just using the vacuum. 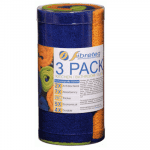 Just be sure you use a microfiber cloth suited to the task at hand and with sufficient quality that will still work effectively. These cloths will absorb up to seven times their own weight, enabling you to clean an entire room before you need to rinse them out! A bonus addition, Castile Soap, not only helps keep moisture in your body, it keeps you healthy and clean naturally. Castile’s main purpose is to clean just about everything, counters, sinks, bathtubs, floors, toilets, gets rid of annoying insects, and existed way before detergent even was invented. The soap molecules have one end that is attracted to water and another end that avoids it. When the soap combines with water, free-floating charged atoms are created that attract and capture dirt and grease. It’s as old as cave man times, natural ingredients on you and the environment long after use, how healthy is that! Lather up in the shower, gently cleanse hands, clean away grit and grime around the house and in the laundry, suitable for all skin types. Pure organic unrefined oils of olive, coconut and flaxseed, pure, gentle formulation. While some chemicals and cleaning supplies are simply irreplaceable, others can be easily substituted for common household products that you use almost every day. Remember to check your labels and be careful while using them so you remain safe while cleaning in your space. Do you use any household chemicals in your home or office that wold be of concern to your health? Let me know in the comments below. There you have it. If you take the time to invest in the items on this list, you will have all the essentials you will need for proper indoor air care. If you are thinking about being healthy, cleaning with toxic free products in your home or work place, make sure you go through this short list and pick up everything you need. Or simply order the Naturally Home Made Cleaning box, so you can take care of the entire home air. En.wikipedia.org. (2018). Sodium bicarbonate. [online] Available at: https://en.wikipedia.org/wiki/Sodium_bicarbonate#Cooking [Accessed 3 Jul. 2017]. En.wikipedia.org. (2018). Vinegar. [online] Available at: https://en.wikipedia.org/wiki/Vinegar#Cleaning [Accessed 3 Jul. 2017]. Superfoods, T., Stories, F., Infographics, D., Love, I., Recipes, S., Articles, N., Well, N., Diseases, C., Spirit, B., Relationships, L., Heart, H., Loss, D., Oil?, W., Articles, N. and Love, D. (2018). Citric Acid Cleaning Tips Get Your Home Sparkling Clean. [online] Daily Superfood Love. Available at: http://dailysuperfoodlove.com/3262/citric-acid-cleaning/ [Accessed 3 Jul. 2017]. ThoughtCo. (2018). The Chemistry of How Borax Works as a Cleaner. [online] Available at: http://chemistry.about.com/od/howthingsworkfaqs/a/howboraxworks.htm [Accessed 3 Jul. 2017].